Lanthier, Stéphanie. "Idola Saint-Jean". The Canadian Encyclopedia, 13 March 2017, Historica Canada. https://www.thecanadianencyclopedia.ca/en/article/idola-saint-jean. Accessed 22 April 2019. Idola Saint-Jean, feminist and pioneer in the fight for women’s suffrage (born 19 May 1880 in Montréal, QC; died 6 April 1945 in Montréal). The first woman from Québec to run as a candidate in a federal election, she devoted over 20 years of her life to active efforts to improve women’s legal rights. Idola Saint-Jean (courtesy Library and Archives Canada/C-68508). Idola Saint-Jean’s father was Montréal lawyer Edmond Saint-Jean; her mother was Emma Lemoine. Idola attended Catholic girls’ schools operated by the nuns of the Congrégation Notre-Dame de Montréal and the Villa Maria convent. She also took courses in diction and stage directing at a small theatre school run by Madame Julia Bennati (see Opéra français). Nelligan's poetic voice is sad and nostalgic, oscillating between the theme of the passage of time and a hallucinatory vision of the world (courtesy Library and Archives Canada/C-88566). 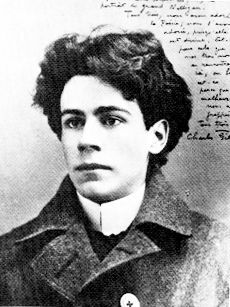 As a good friend of the young Québec poet Émile Nelligan, Saint-Jean frequented the circles associated with the École littéraire de Montréal, a literary school of which he was a member. 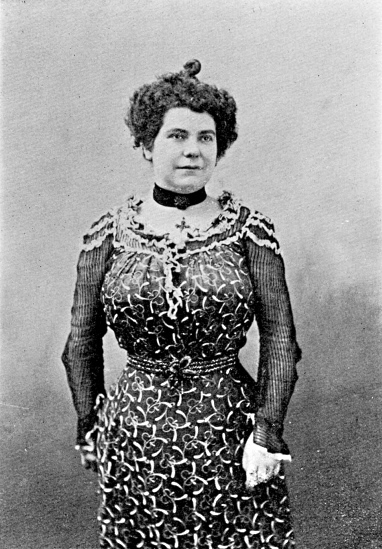 Starting in 1900, she began to make a name for herself on the stages of Montréal and Québec City, both for her performances as an actress and for her poetry recitals. In 1903, she went to Paris, where she studied with Constant Coquelin, the first actor ever to play the role of Cyrano de Bergerac, and Renée du Minil, a member of the prestigious theatre troupe, the Comédie Française. She also took courses at the Sorbonne (Université de Paris). On her return to Montréal, Saint-Jean became a professor of French language at McGill University. 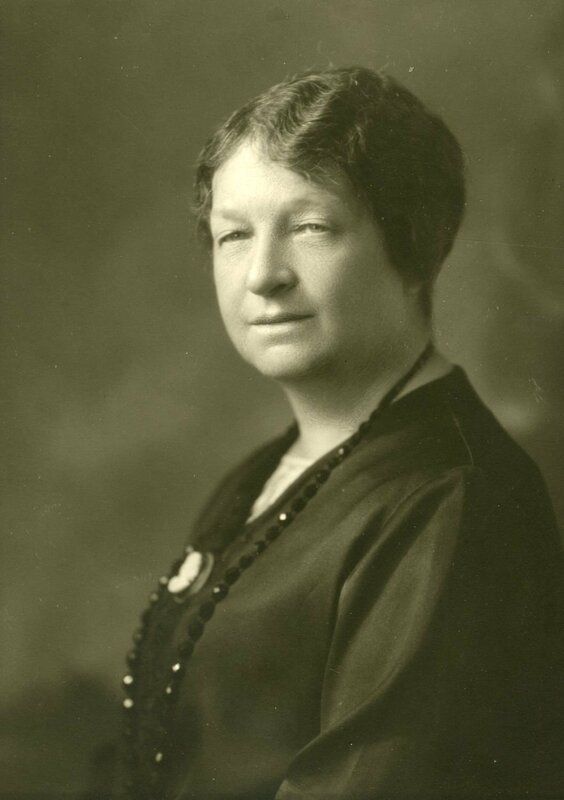 There she met Carrie Derick, who was the first woman to hold a full professorship at a Canadian university and also served as president of the Montreal Suffrage Association from 1913 to 1919. Saint-Jean also taught at the Mechanics’ Institute of Montreal and at the Monument-National, where she gave public courses on diction. She also published two books on diction that were reprinted many times: Récitations enfantines (1917) and Morceaux à dire (1918). In 1914, Saint-Jean was appointed secretary of the Catholic Committee of the Montreal Juvenile Court, where she worked with juvenile delinquents. During the First World War, she headed an emergency relief committee. In 1918, though single (she never married), she adopted a little black girl whose parents had died in the Spanish influenza pandemic that year. Sadly, her adopted daughter died in the 1920s. An active member of the Fédération nationale Saint-Jean-Baptiste (an alliance of francophone Catholic women’s benevolent groups, founded in 1907), Saint-Jean also served as secretary of the bilingual Provincial Franchise Committee, a women’s suffrage group headed by Marie Gérin-Lajoie (née Lacoste) and Anna Marks Lyman, president of the Montreal Women’s Club. In February 1922, the Provincial Franchise Committee held a high-profile event to convince members of Québec’s legislative assembly to support the first bill to grant women the right to vote in Québec provincial elections. Though all female citizens age 21 and older had been granted the right to vote in federal elections on 24 May 1918, Quebec women still did not have the right to vote in provincial elections. Thus it was that a delegation of some 400 to 500 women travelled to Québec City to meet with Premier Louis-Alexandre Taschereau and the members of the Legislative Assembly. Casgrain was a leading 20th-century Canadian reformer. Idola Saint-Jean, Marie Gérin-Lajoie and Thérèse Casgrain spoke to the MLAs on behalf of Québec’s francophone women, while Carrie Derick, Julia Drummond and Grace Ritchie-England did so on behalf of the province’s Anglophone women. Taschereau received them politely but told them that his government was not going to the one to give them the right to vote. As a result, in early March 1922, the women’s suffrage bill, tabled by Henry Miles, MLA for the riding of Montréal-Saint-Laurent, was abandoned before second reading and the debate was adjourned. In 1927, the Provincial Franchise Committee divided into two organizations that continued to work together closely. 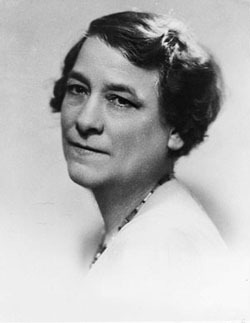 Idola Saint-Jean established the Canadian Alliance for the Women’s Vote in Québec, which focused mainly on female workers and women from working-class neighbourhoods, while Thérèse Casgrain transformed the Provincial Franchise Committee into the League for Women’s Rights, whose members were mainly middle-class and married women. Once each year, Saint-Jean and Casgrain went to Québec City to present and support various bills on women’s suffrage. Although these bills were then rejected or referred to legislative committees for review, they represented the first real campaign to get Québec women the right to vote. The movement held public meetings in many parts of the province and received support from important groups such as the Association catholique des institutrices rurales (Catholic association of female rural elementary school teachers) founded by Laure Gaudreault and international labour unions. In 1929, Idola Saint-Jean appeared before the Dorion Commission, established to examine the issue of women’s civil rights in Québec (see Women and the Law). The commission’s report was tabled on 15 February 1930. The reforms that it led to were relatively minor but still represented progress for the women's movement: the requirement for the husband’s authorization in cases of separation of movable property was dropped; the legal age at which girls could marry was raised to 16 from 14; and women were allowed to serve as witnesses when wills were notarized. In 1930, Idola Saint-Jean ran as the Independent Liberal candidate for federal Member of Parliament in the riding of Montréal-Dorion-Saint-Denis. Well aware that she had little chance of actually winning the election, she used her candidacy as a forum for promoting women’s suffrage, and she ended up receiving an impressive 3,000 votes. Saint-Jean communicated her ideas about social justice through radio broadcasts, recommendations, briefs, letters, lectures and demonstrations. In 1929, she began writing a bilingual column for the Montreal Herald, and in 1933 she founded the magazine La Sphère féminine. She saw feminism as a worldwide movement that no person and no force could halt. In 1935, she sent King George V a petition with 10,000 signatures in support of women’s suffrage. On 25 April 1940, thanks to the tireless efforts of women activists such as Idola Saint-Jean, the women of Québec finally obtained the right to vote in provincial elections. 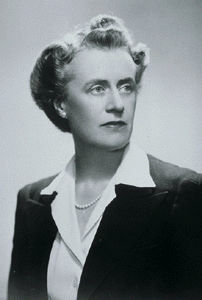 At the Quebec Liberal Party convention of 1938, with the support of some 40 women delegates, Thérèse Casgrain, then vice-president of the Liberal Women’s Club of Canada, had succeeded in getting this issue included in the party’s platform. Once this party came to power in 1939, the government of Adélard Godbout granted women the right to vote and to run for office provincially, despite the open opposition of Cardinal Jean-Marie-Rodrigue Villeneuve. Thus Thérèse Casgrain’s social network helped to open the doors of power to Québec women suffragists, while Idola Saint-Jean’s talents as an organizer and orator galvanized the women’s movement as never before. 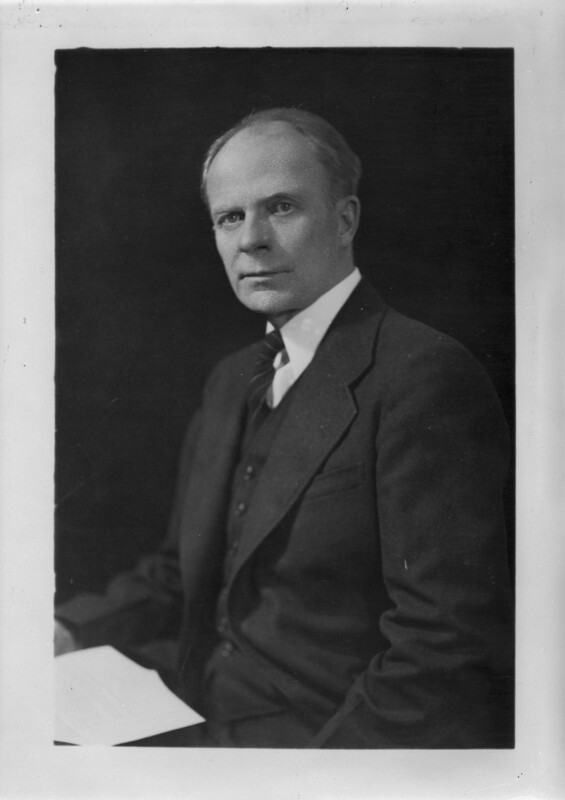 Senator Joseph Adélard Godbout, ca. 1942 \u2013 1948. Thus, on 8 August 1944, after having demanded the right to do so for over 40 years, Québec women voted in a provincial election for the first time. Idola Saint-Jean was there to exercise her franchise, but died shortly afterward, just a few weeks short of her 65th birthday. Every year since 1991, the Fédération des femmes du Québec has given the Prix Idola Saint-Jean to a woman or group of women who have worked to improve the status of women and to advance the cause of feminism in Québec, in accordance with this federation’s mission, objectives and orientations. In 1981, the Canada Post Corporation issued a stamp bearing Idola Saint-Jean’s likeness. In 2002, the Government of Canada recognized her as a national historic person. Several streets in Québec, a park in the Montréal borough of Rosemont-La Petite Patrie, and a shelter attached to the health and social services centre of Laval, Québec all bear her name. In 2012, a monument was erected near the National Assembly in Québec City in tribute to Idola Saint-Jean along with Marie Gérin-Lajoie (née Lacoste), Thérèse Casgrain and Claire Kirkland-Casgrain, all pioneers in politics who fought to secure women’s rights and improve their living conditions. In 2015, the City of Montréal recognized Saint-Jean’s remarkable contributions by identifying her as one of the Builders of the City. A bronze sculpture of her is on display at the Monument-National. On 8 March 2016, International Women’s Day, the Bank of Canada launched a public consultation to choose a Canadian woman who would be featured on a banknote released in the next series of bills in 2018. At the end of a long nomination process, it was announced that Idola Saint-Jean was among the five finalists. The Finance Minister’s final choice, however, was Nova Scotia businesswoman and civil libertarian Viola Desmond (see Women on Canadian Banknotes). 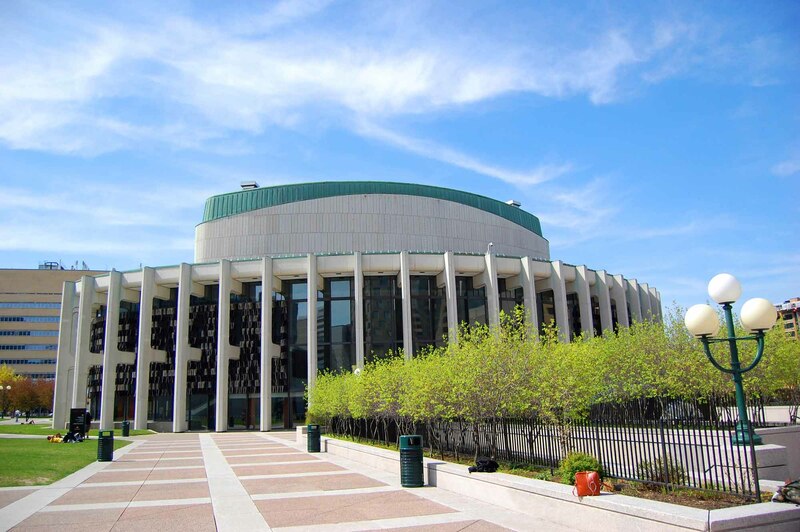 The Idola Saint-Jean archives are held in the archives of the City of Montréal. Merna Forster, 100 Canadian Heroines: Famous and Forgotten Faces (Dundurn Press, 2004). Margaret Gillett, We Walked Very Warily: a History of Women at McGill (Eden Press, 1981).